Healthy Monday Syracuse, the Syracuse University Wellness Initiative, Food Services and Department of Recreation Services sponsor Walktober,a month-long initiative that encourages individuals and teams to engage in more physical activity by walking. Get active, form a team and enjoy walking through the beautiful Syracuse University campus as cooler temperatures and changing colors welcome the fall season. Join us next week for the start of the fourth annual Walktober. Healthy Monday Syracuse, the Syracuse University Wellness Initiative, Food Services and Department of Recreation Services sponsor Walktober,a month-long initiative and competition that encourages individuals and teams to use the month of October to engage in more physical activity by walking. All participants are asked to track their distance each week, set goals to improve their fitness and celebrate the collective success of all participants. 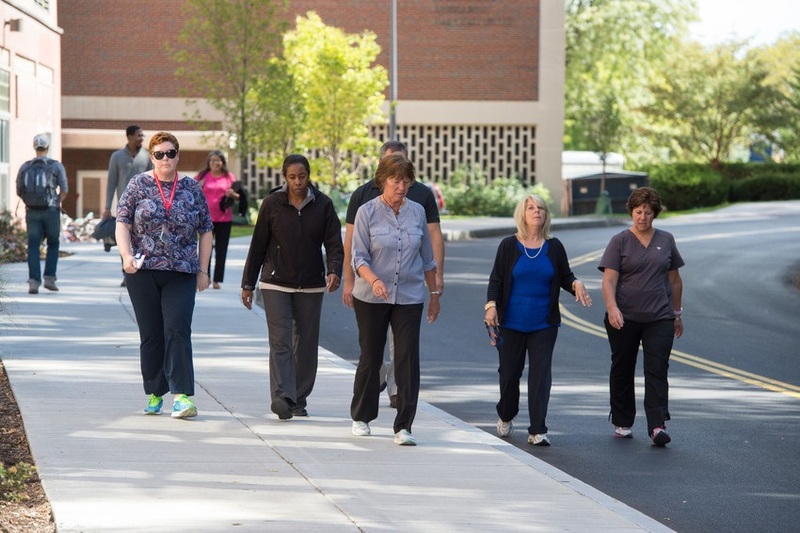 On Monday, Oct. 3, the first Monday Mile walk will be held at noon, beginning in front of the Schine Student Center. This is a great opportunity to join your fellow walkers and learn more about how you can boost your Walktober experience with the Healthy Choice Challenge and #WalktoberSU Instagram Contest. During the whole month of October, you are invited to join Monday Mile walks. Those interested in joining Walktober can sign up as an individual or as a team at https://syracuse.walktober.com. Registration must be completed on or before Wednesday, Oct. 5, at 11:59 p.m.
To wrap up this month-long initiative, the most active participants will be invited to celebrate their accomplishments at the Walktober Awards Luncheon on Monday, Nov. 7. For more information about Walktober and to register, visit https://syracuse.walktober.com or email questions to healthymonday@syr.edu with the subject line WALKTOBER 2016.